I found these online. The poor dears. I felt bad for them. Many years ago I had pair, so knew what they COULD be again. They could be this! 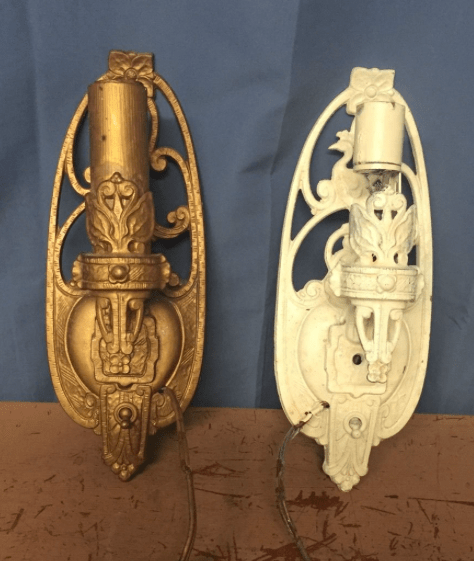 I did a controlled stripping of the non-original finishes, which revealed gold over the cast aluminum bases. 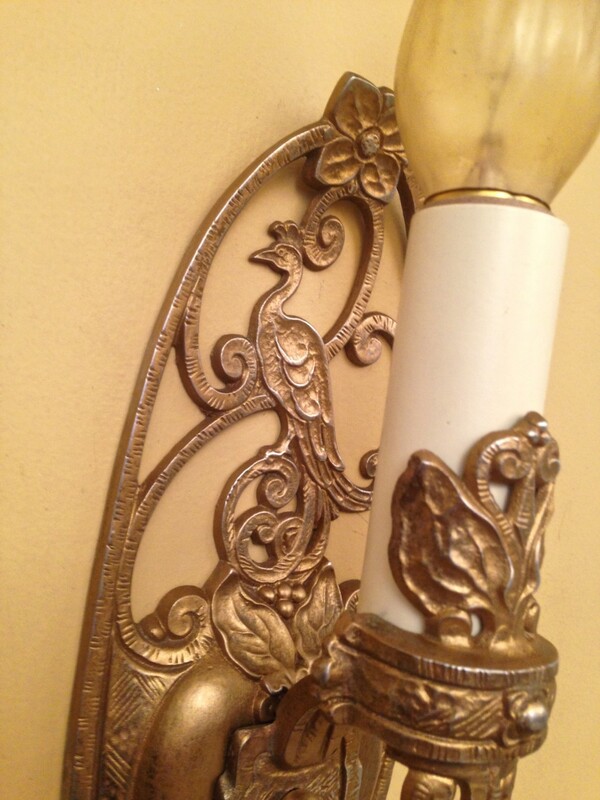 I was able to keep much of the original gold finish, which now allows the underlying aluminum to peek through. Lovely. And there are peacocks! Peacocks! Just divine. 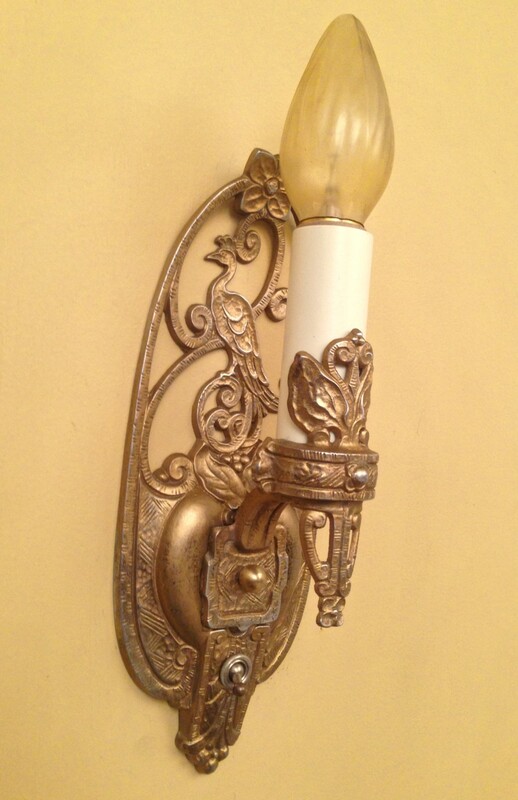 The sconces are by Riddle. Gorgeous! How do you do a controlled stripping?